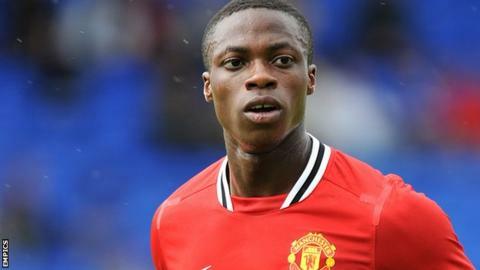 Notts County have signed Manchester United striker John Cofie on a one-month youth loan deal. The 20-year-old signed for League One rivals Sheffield United on a season-long loan deal last July, but returned to Old Trafford in January. The Ghana-born forward, who spent time on loan at Belgian side Royal Antwerp last year, scored twice in eight starts for the Blades. Cofie could make his Magpies debut against Crewe on Saturday.